The Pagan Love Orchestra: Jai Uttal – vocals, dotar, harmonium, gub gubbi, kartals, ektar, swaramandala, banjo, sampling, sequencing and a little guitar. Peter Apfelbaum – drums (except track 4), tenor and soprano saxophones, melodica, African bells, vocals and mixing consultant. Will Bernard – electric and acoustic guitars and guitar solos. Jeff Cressman – trombones, cornet and band copyist. Geoffrey Gordon – tabla (track 1), dholak (tracks 5, 6 & 9), hand drums, timbales and miscellaneous percussion. Keith McArthur – bass. Irene Sazer – violin and viola. Kit Walker – keyboards and Hammond B-3 organ. Guest Artists: Maestro Swapan Chaudhuri – tabla (track 10), dholak and baya (tracks 5 & 6). Moinuddhin Khan – sarangi. Peck Allmond – trumpet on Rama Raghava. Steve Gorn – bansuri. Jan Jackson – drums on Calling You. Rob Vlack – acoustic guitar, keyboards, sampling and sequencing on Calling You. Kitty Beethoven – back up vocals. Ledici Young – back up vocals. Riffat Salamat Ali Khan – back up vocals. All songs composed by Jai Uttal except: Corner (lyrics public domain), Calling You (Bob Telson), Jaya Jagadambe (Uttal/Apfelbaum), Sita Ram (Uttal/Apfelbaum), Never Turn Away (Uttal/Kagel). 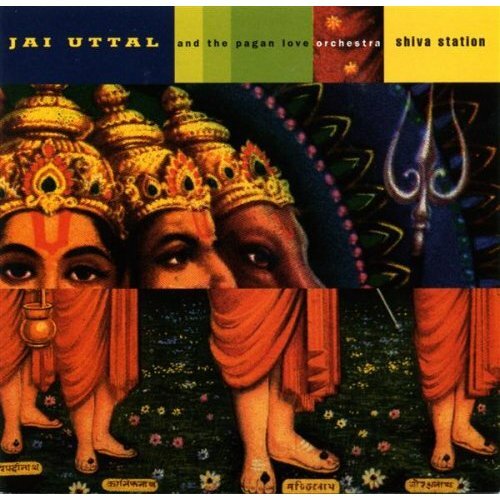 Arrangements by Jai Uttal and The Pagan Love Orchestra. Sanskrit, Hindi and Bengali lyrics are traditional. Translations from a variety of sources, including Swami Satya Nanda Sarasvati, S. K. Pidara and Gouri Ghosh. All rights reserved. Used by permission. International copyright secured. John Hanty, I.T.A., K. D. Kagel, Beth Katz, Denise Kaufman, Daniel Kosharek, Allen Kozlowski, Bruce Linde, Mitchell Markus, Kristina Melcher, Cheb i Sabbah, David Saltz, Joe Serling, David Silver, Tom Silverman, everyone at Triloka, Jody Uttal, William T. Wandall, friends, fans, Saints, Sages, Gods and Goddesses. Prayers and good thoughts to Don Cherry and David Nadel. Their spirits live on.